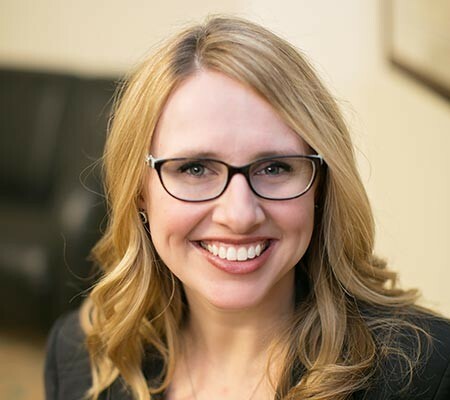 Heather Steele is a lawyer in Prince William County handling litigation for businesses and people, including landlord-tenant, HOA/condo associations, and business lawsuits. She serves all of Prince William, including Woodbridge, Manassas, Haymarket, Gainesville, and surrounding counties such as Stafford, Spotsylvania, Fauquier, Fairfax, as well as Manassas City, Manassas Park, and Fredericksburg City. Heather is the Litigation Partner at Compton & Duling, where she has been handling many types of civil matters, including landlord-tenant cases, homeowners association (HOA) and condominium associations (condos), business law, civil lawsuits, contracts, and preparing LLC or corporate documents. In her role as Litigation Partner, Heather regularly teaches seminars on landlord-tenant law, community association law, and important legal concepts for small businesses. Ms. Steele can handle legal issues for small businesses, including contract reviews, contract drafting, creating and incorporating a limited liability company (LLC) or corporation, as well as preparing demand letters, and handling business litigation. Her associate attorney, Lauren Lucian, also works with Heather on debt collection for businesses, landlords, and community associations. Ms. Steele represents commercial and residential landlords in eviction and past-due rent lawsuits. Heather drafts leases, lease amendments, lease default notices, lease extensions, and lease terminations. Along with her associate attorney, Tim Aiken, Heather handles estate litigation, including will contests, estates without a will, and lawsuits against executors or personal representatives. Heather is peer-rated by Martindale Hubbell as AV-Preeminent. The Martindale Hubbell Peer Review is a rating given by a lawyer’s peers, and an AV-Preeminent rating is a significant rating accomplishment – a testament to the fact that a lawyer’s peers rank her at the highest level of professional excellence.